Raw Product’s debut single ‘Choose Your Weapon’ now has a studio video to accompany it. The video shows footage of Stealf putting the beat together in the Area 51 studio and then vocal recording with Jehst at Kilimanjaro Studio. An interesting peek behind-the -scenes. Raw Product‘s ‘Choose Your Weapon’ feat. Jehst is AVAILABLE NOW from Juno Download EXCLUSIVELY – 2 days before you can get it anywhere else. 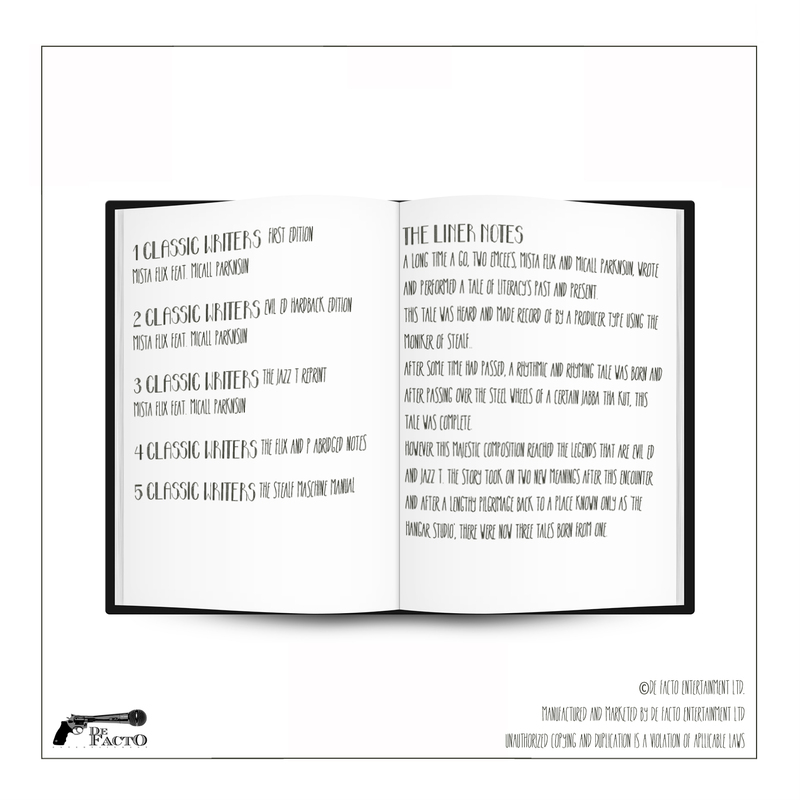 The Choose Your Weapon Deluxe Package includes the limited edition 7″ single, 8 page booklet showing the artwork evolution, lyrics and liner notes, the Choose Your Weapon T-shirt and some De Facto stickers. All this for a mere £30 as well, be quick though, there’s only 50 of these available! THe official artwork for ‘Choose Your Weapon’, the debut single from Raw Product feat. Jehst. The limited edition 7″ singles will be available to pre-order from http://www.defactoent.bandcamp.com from 24th June. Here is the very first Raw Product Webisode. We’ll be dropping more of these building up to the release of the ‘Choose Your Weapon’ single. Enjoy. 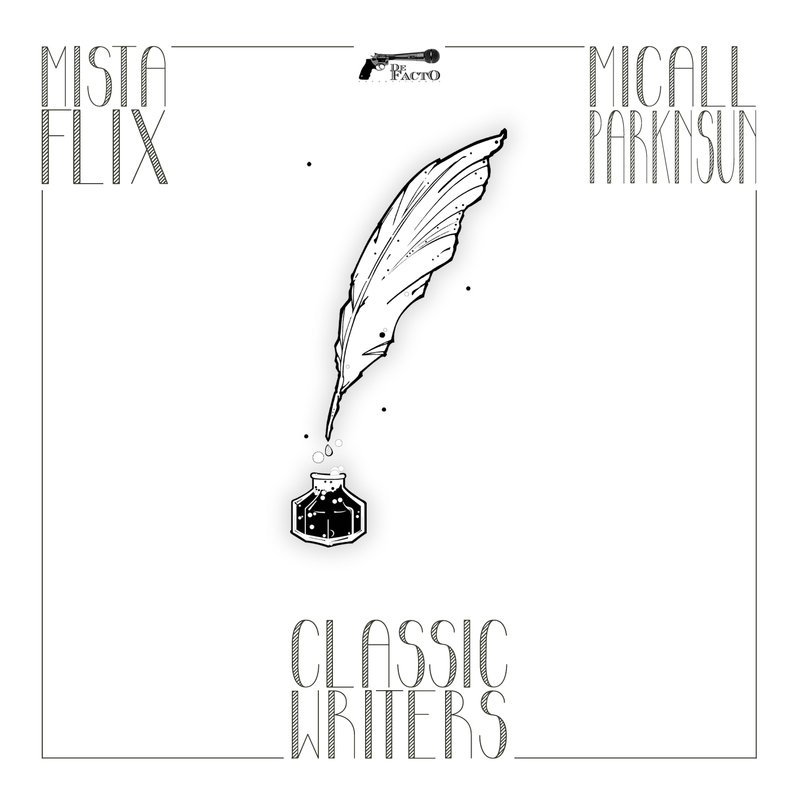 Get your hand on the new track from De Facto artist Mista Flix feat. Micall Parknsun. The release also includes remixes from Evil Ed and Jazz T as well as the original instrumental and acapella. Available digitally and on limited edition CD with special artwork. The lead single from the final Lord Of The Real EP Series from Mista Flix. The singles B-Sides include the Evil Ed Hardback Edition and the Jazz T Reprint as well as the instrumental and acapella versions. De Facto Entertainment are very proud to announce the release of ‘The Hidden Truth EP’ from Silqe and producer Stealf. This is 8 tracks of real rap, that any hip hop head should need in their collection.